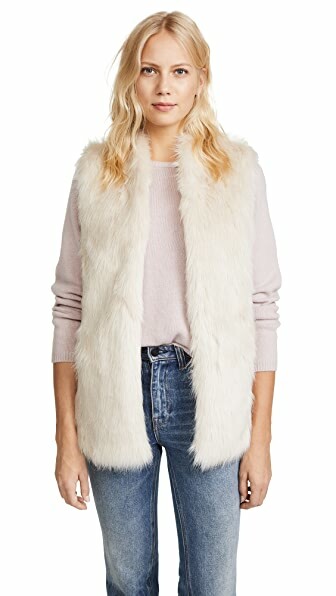 A long June vest in soft rabbit fur. 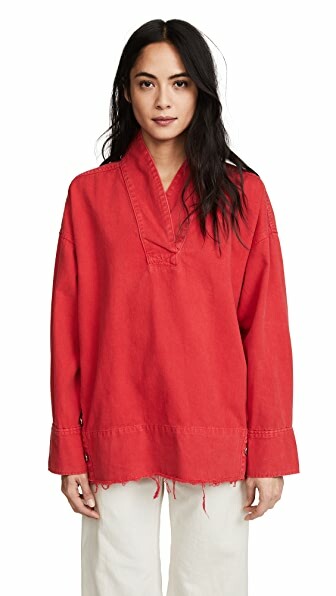 Hidden-snap placket. Unlined. 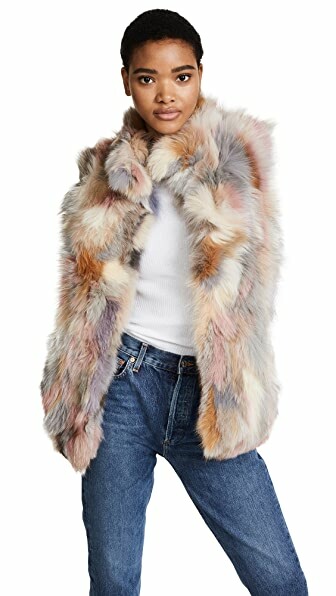 Fur: Dyed rabbit fur, from China. Professional fur clean. Imported, China. 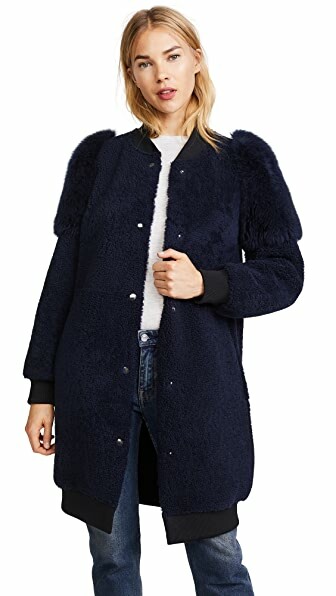 Measurements Length: 26.75in / 68cm, from shoulder Measurements from size S THIS ITEM CANNOT BE SHIPPED OUTSIDE THE USA. 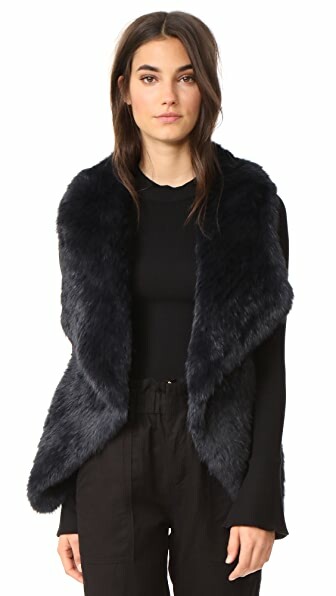 This soft, sleek YVES SALOMON - METEO fur vest is fashioned with draped lapels, giving the piece a relaxed feel. Single hook-and-eye clasp at front. 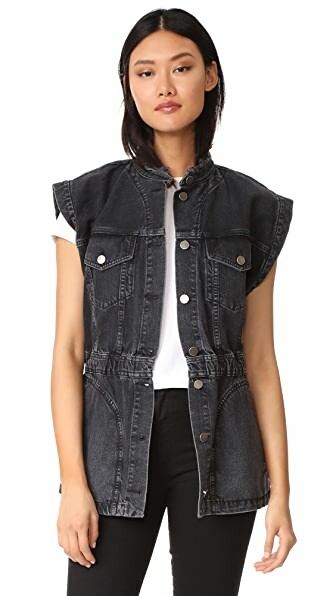 Sleeveless. Fully lined in fur. Fur: Dyed rabbit, from Spain. Fur clean. Made in France. 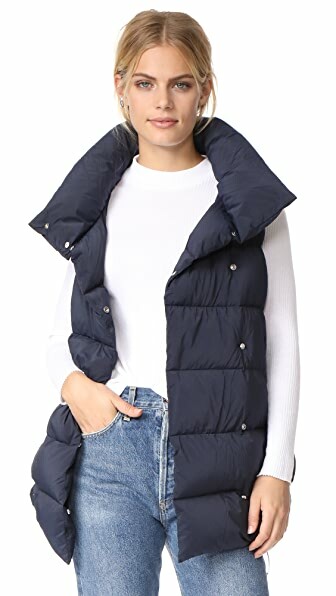 Measurements Length 1: 20.5in / 52cm, from shoulder to shortest point Length 2: 28.25in / 72cm, from shoulder to longest point Measurements from size 38 THIS ITEM CANNOT BE SHIPPED OUTSIDE THE USA. 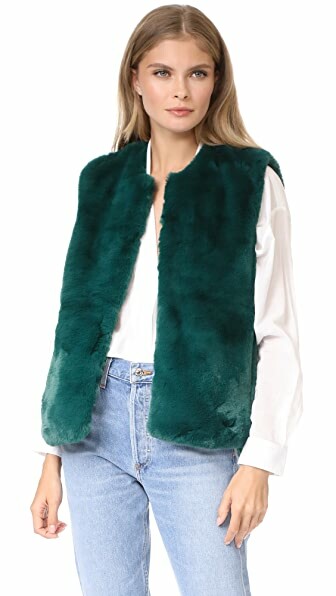 Bright colors lend a fresh, playful feel to this luxurious fox fur Adrienne Landau vest. 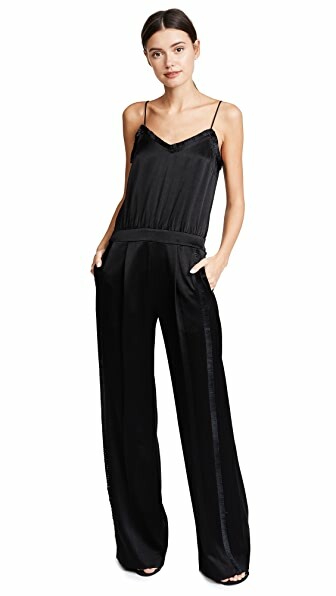 On-seam hip pockets. Lined. Fur: Dyed fox, from China. Lining: 100% polyester. Fur clean. Imported, China. 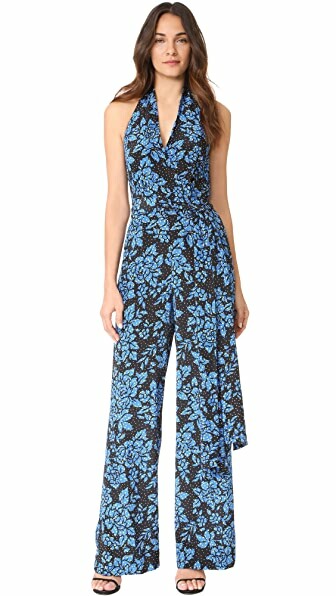 Measurements Length: 25.25in / 64cm, from shoulder Measurements from size S THIS ITEM CANNOT BE SHIPPED OUTSIDE THE USA. 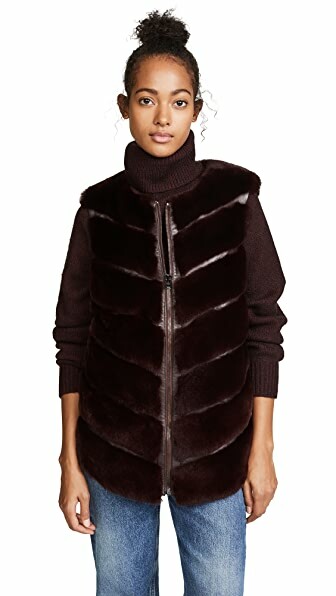 This luxurious Adrienne Landau fur vest has a mix of long and short panels. Welt hip pockets. Hook-and-eye closures. Lined. Fur 1: Dyed rabbit, from China. Fur 2: Dyed fox, from China. Lining: 100% polyester. Fur clean. Imported, China. 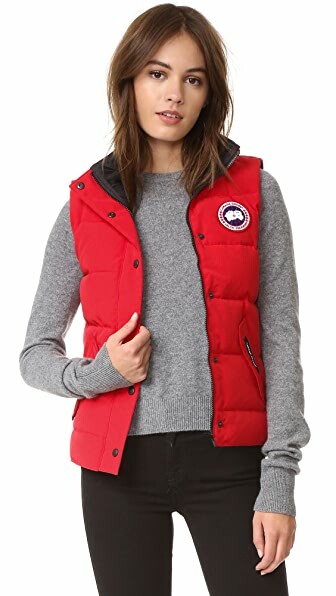 Measurements Length: 23.5in / 60cm, from shoulder Measurements from size S THIS ITEM CANNOT BE SHIPPED OUTSIDE THE USA. 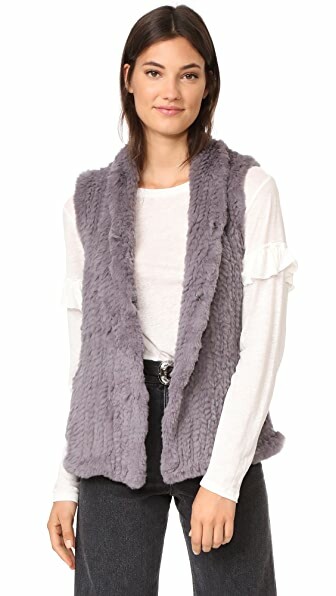 A patchwork of pastel hues complement the softness this luxurious fur Jocelyn vest. Hip pockets. Hook-and-eye placket. Lined. Fur: Dyed fox, from China. Lining: 100% polyester. Fur clean. Imported, China. 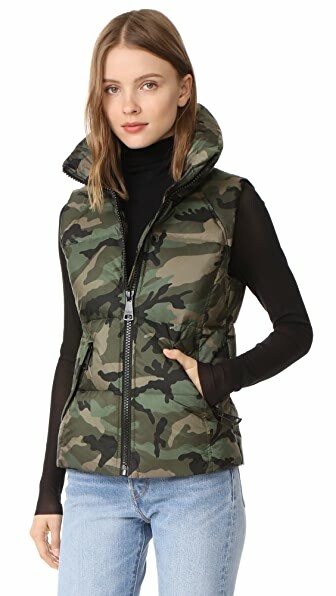 Measurements Length: 28.25in / 72cm, from shoulder Measurements from size M THIS ITEM CANNOT BE SHIPPED OUTSIDE THE USA. 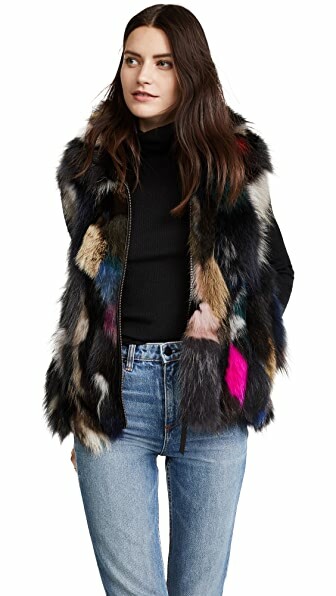 Pops of color accent this luxe fur SAM. 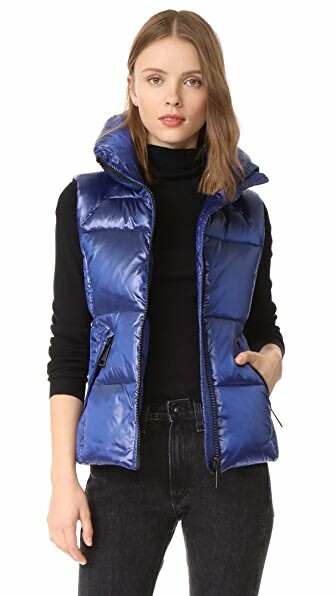 vest. Fold-over collar and zip closure. Lined. Fur: Dyed fox, from Denmark. Trim: 100% leather. Lining: 100% polyester. Fur clean. Imported, Korea. 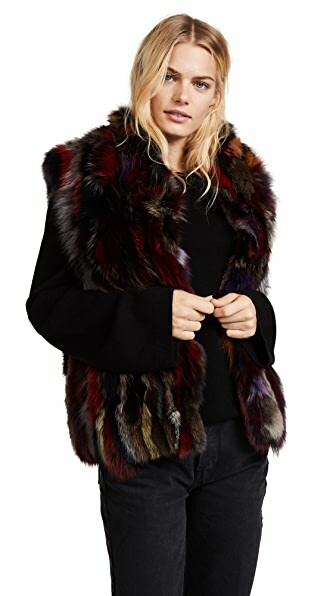 Measurements Length: 23.5in / 60cm, from shoulder Measurements from size S THIS ITEM CANNOT BE SHIPPED OUTSIDE THE USA. 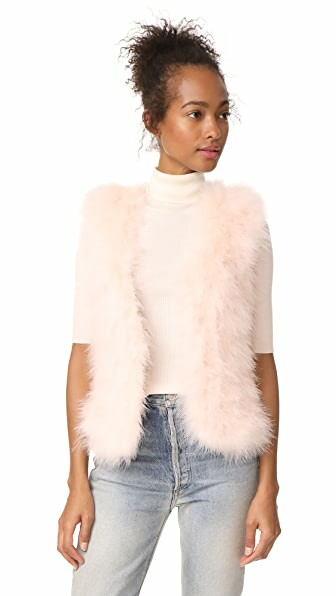 Rows of airy feathers cover the woven shell on this quirky Club Monaco vest. Open placket. Lined. Fabric: Plain weave. Shell: 100% polyester. Trim: 100% feathers. Fur clean. Imported, China. 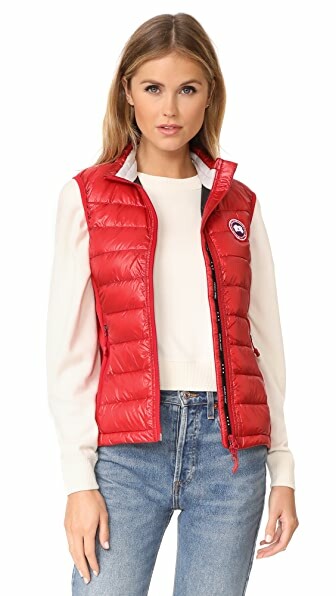 Measurements Length: 22in / 56cm, from shoulder Measurements from size S THIS ITEM CANNOT BE SHIPPED OUTSIDE THE USA. A relaxed SAM. 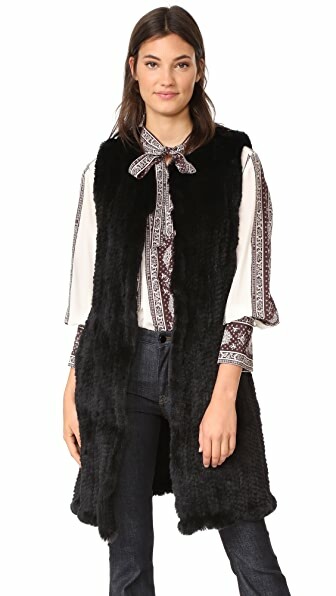 vest composed of luxurious fox fur. Fold-over collar and exposed zip closure. 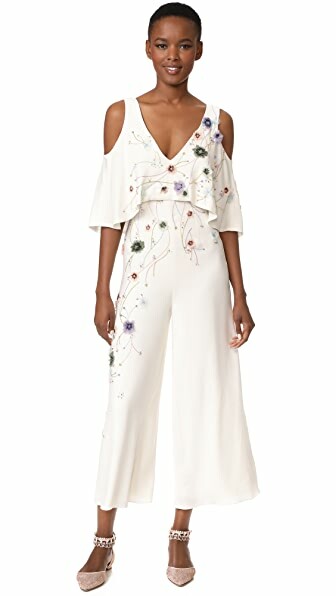 On-seam hip pockets. Lined. Fur: Dyed fox, from Finland. Lining: 100% polyester. Fur clean. Imported, Korea. 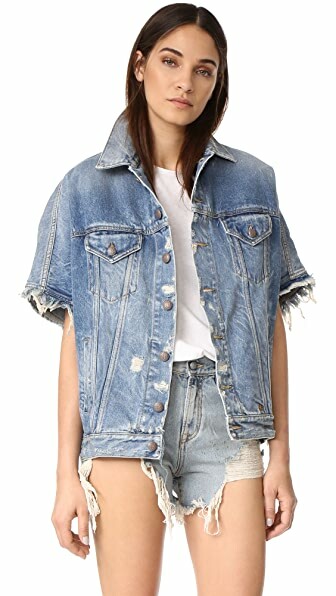 Measurements Length: 22.75in / 58cm, from shoulder Measurements from size S THIS ITEM CANNOT BE SHIPPED OUTSIDE THE USA. 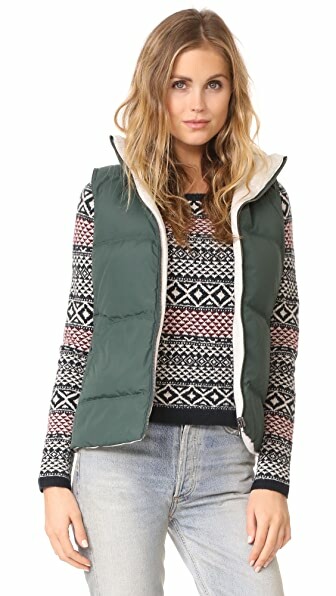 A quilted CARA MILA vest in soft rabbit fur. 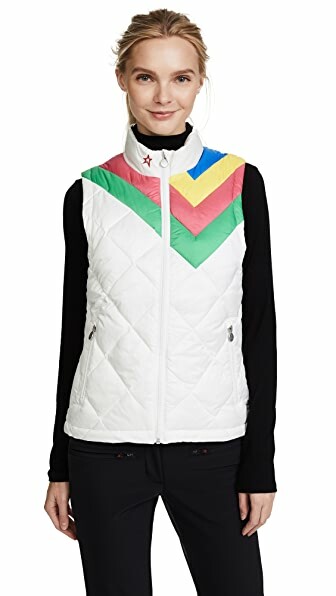 On-seam pockets. 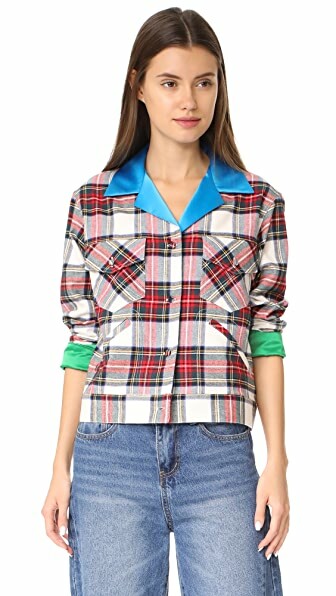 Zip placket. Lined. Fur: Dyed rabbit, from China. Fur clean. Made in Italy. 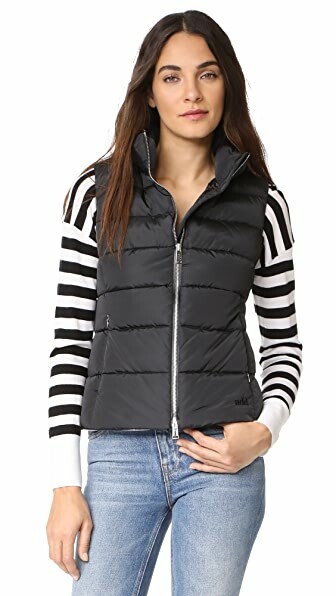 Measurements Length: 27.5in / 70cm, from shoulder Measurements from size XS THIS ITEM CANNOT BE SHIPPED OUTSIDE THE USA. 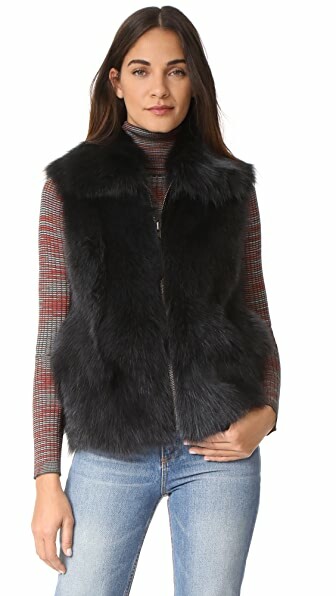 This luxe Anne Vest shearling coat is trimmed with brushed fur panels at the shoulders. 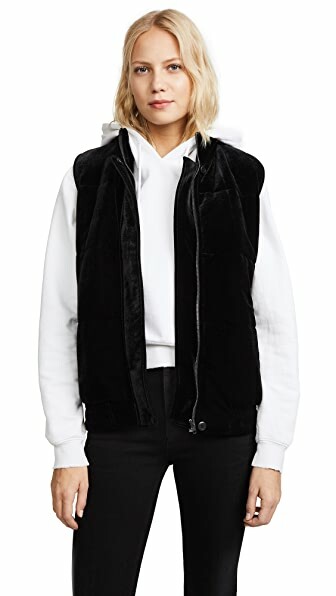 Ribbed trim lends a subtle sporty element to the long silhouette. Snap placket and on-seam hip pockets. Long sleeves and ribbed cuffs. Leather lining. Fur: Dyed sheep, from Turkey. Dry clean. Imported, Turkey. 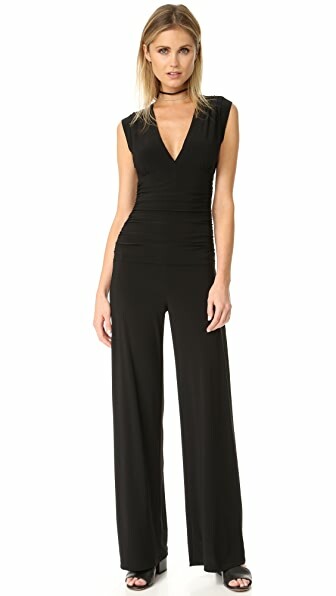 Measurements Length: 37in / 94cm, from shoulder Measurements from size 38 THIS ITEM CANNOT BE SHIPPED OUTSIDE THE USA.